Oil and gas companies, like many firms in the natural resource sector, have a high exposure to risks associated with corruption. The global scale and complexity of government relationships between contractors, suppliers and venture partners, make compliance with anti-corruption and bribery acts all the more challenging. It is estimated by Nigerian authorities that around 150,000 barrels of oil are stolen every day from pipelines across the oil rich delta states for use in makeshift refineries. Illegal trade practice is followed in the oil companies themselves, however, with operators being ‘bribed up to 6,000 dollars’, and breaching security. Illegal dealers can profit substantially as black market economies thrive. The (US) Securities and Exchange Commission (SEC) recently charged Nigerian Customs officials with bribery allegations, claiming they had ‘obtained illegal permits for oil rigs under lucrative drilling contracts’. This is not the first time the industry has been under the scrutiny of regulators. Some of the largest enforcement operations under the United States Foreign Corrupt Practices Act (FCPA) have involved Nigerian energy companies. 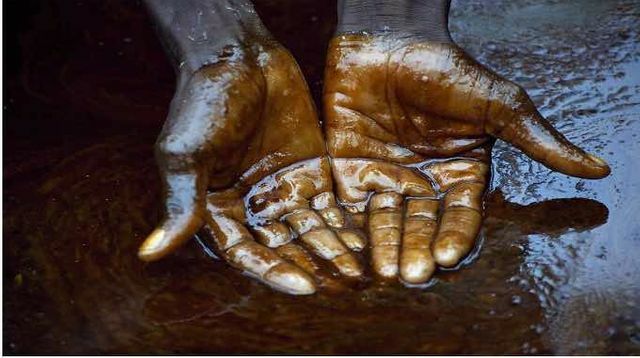 Predominantly, the world's oil reserves reside in geographic regions such as Central and West Africa, South America, the Middle East and the former Soviet Union; many with high international ratings for corruption perceptions from bodies such as Transparency International. Governments in many states lack the infrastructure and controls necessary to combat corruption, which makes the ground fertile for greater risk exposure. It is therefore imperative that key risk aversion strategies are put in place by companies to combat the economic and demographic impact of illicit trade and industry malpractice. Image courtesy of Lorraine Chow. YENAGOA, Nigeria, April 13 (Reuters) - Nigeria's military said on Thursday that it had destroyed 13 illegal refineries in the restive Niger Delta oil hub, in an operation in which two soldiers died in clashes with "sea robbers".